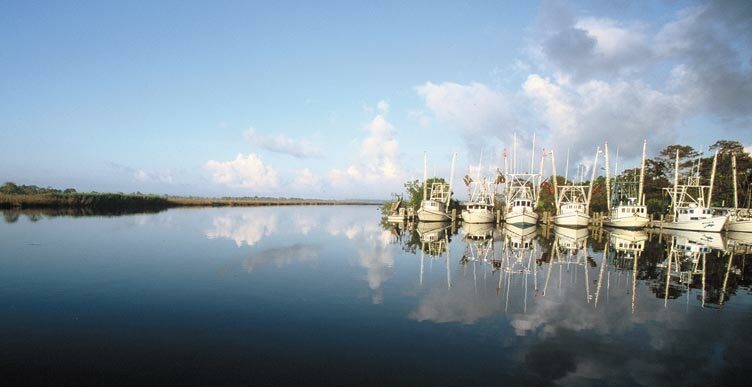 For more than 200 years, the tranquil shores along the Apalachicola River have played a historic role in the early settlement and economic development of this area. During the 1700's, the area was home to the Creek Indians who lived and hunted along these fertile shores. Recognized by the State as a prehistoric Indian site, Bay City grounds are littered with remains of mussel shells and artifacts believed to be from Creek Indian settlements which inhabited the area. Approximately 100 years later, this small riverfront settlement played an integral role in Apalachicola's booming lumber industry. By the early 1800's, the port town of Apalachicola downstream was growing in importance as a major shipping port; steamboats traveled the Apalachicola River daily carrying cotton and naval supplies to and from northern ports of Columbus, Georgia and beyond. However, shipping prosperity did not last. The Civil War and the emergence of the railroad as reliable transportation crippled the steamboat shipping industry toward the end of the 1800's and Apalachicola began to look to the forests for economic sustenance. By 1876, the lumber industry in Apalachicola began to flourish and the Bay City Sawmill Co. along with about a dozen other sawmills along the river, were established. It is uncertain how Bay City received its name, but it may have been named after the steamboat Bay City which navigated the waters of the Apalachicola, Flint and Chattahoochee Rivers from 1893 to 1899. The Bay City Sawmill Co. was in operation from about 1909 until possibly the mid-1930's. Evidence of the old mill is found in places along the Lodge grounds, in Poorhouse Creek, in an adjacent canal and in the Apalachicola River itself. Remains of this historic area include pilings from a large loading dock in the river, portions of Poorhouse Creek and the canal as well as the cement foundations of a steam driven log skidder and sawmill supports with iron fasteners. Also found have been the remains of a narrow gauge rail line, iron tools, bottles and other period artifacts. 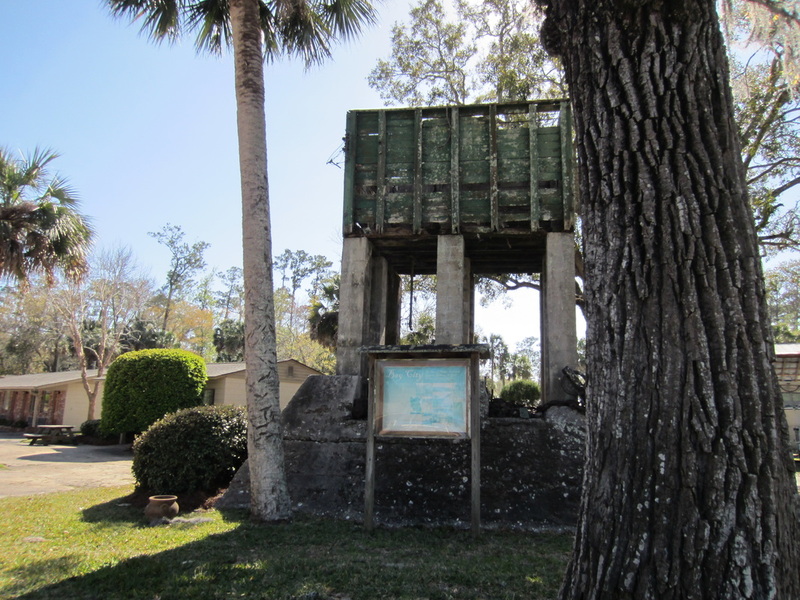 The remains of a small steamboat pulled from the Apalachicola River near the Lodge is believed to represent a small steam tug which was used during the log mill era. The vessel remains are located on the grounds at Bay City Lodge. According to historians, vessels of this type were used to barge log rafts downriver from the sawmills to Apalachicola where the cargo was then loaded aboard shallow draft schooners or 'lighters' which then sailed the shallow bays with the cargo to reach deep water vessels which carried the lumber abroad. The main towns of interest in the area are Apalachicola and St. George Island. Part of the Forgotten Coast on Florida's Gulf Coast, Apalachicola is known as a small southern town with a strong maritime influence with a unique group of locally owned shops, galleries, and restaurants that serve local seafood. The area offers miles of the world's most beautiful beaches, top tier fishing, and hundreds of acres of National and State forests and parks. So when there is a break in the fishing action take the family and friends to St. George Island's beaches, or the surrounding parks for some fun in the sun. More information about the area and to see photos like the one shown above from the Apalachicola Chamber of Commerce at www.apalachicolabay.org. Jimmy Mosconis, founder and president of Three Servicemen Statute South, Inc. and owner of Bay City Lodge, was an Army staff sergeant who was in Vietnam in 1968-69 and served with Jan C. Scruggs. Scruggs was the driving force behind the effort to build the Vietnam Veterans Memorial in Washington, D.C. in the early 1980s. The Wall, as the Memorial is also known, was dedicated in 1982. The Three Servicemen Statue, which is part of the Memorial site, was created by sculptor Frederick Hart and dedicated in 1984. When the statue was dedicated, the entire Memorial was transferred to the federal government as a gift to the American people and accepted by then President Ronald Reagan. 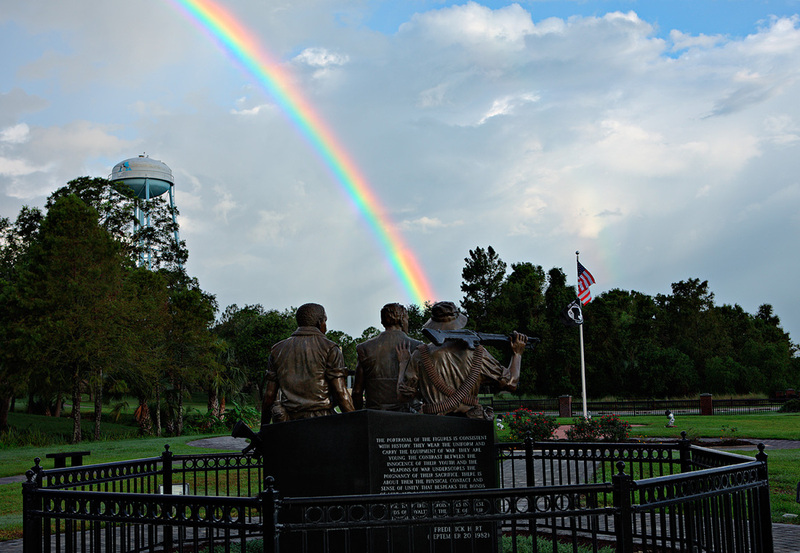 Three Servicemen Statue South is the non-profit group that spearheaded the effort to bring the statue to Florida. Under Mosconis' leadership, the group obtained permission from the estate of sculptor Frederick Hart and the Vietnam Veterans Memorial Fund more than nine years ago to create a detail of the statue. Apalachicola is the only city in the United States to feature this detail of the Three Servicemen Statute. A "detail" refers to any partial reproduction of a work of sculpture. Three Soldiers, Detail was created with the original molds used to make the Three Servicemen Statue. The sculpture is set on a black granite pedestal, serving as the centerpiece of Apalachicola's Veterans Memorial Plaza. This city-owned park includes brick pavers that honor veterans from all branches of the military who served in all of America's wars. In late June 2008, the Three Soldiers, Detail began its trip from Long Island, N.Y., where it was cast, to Apalachicola, Fla., in a 28-foot trailer in which it was the only item being shipped. Shipping services were donated by FedEx National LTL, the long-haul transportation carrier of Fed Ex. For shipping, the statue was packed in three crates and secured with air bags and bracing to make sure this precious cargo got to its destination in pristine condition. The Veterans Memorial Plaza in Apalachicola is managed by the Florida State Park System and it draws thousands of visitors every year. Funds are still being raised to maintain the Veterans Memorial Park. To make a donation or dedicate a brick paver, visit www.threeservicemenstatutesouth.org.